Baby Rae, my Australian cattle dog, is talking to me. How do I know? 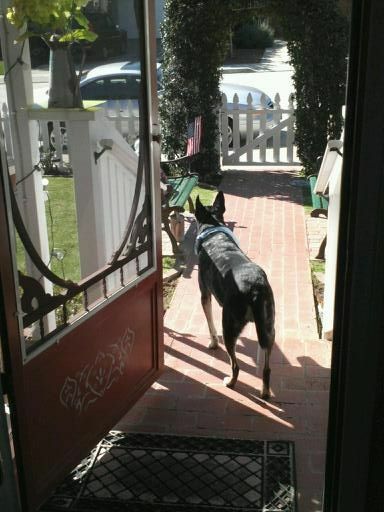 She’s bringing me things, all sorts of things: dog-speak for, Hey, down here! So far, she’s deposited a muddy ball in my lap, a sock from the laundry room, and remnants of the newspaper front page. I get it: she has a valid point. I’ve been “missing in action” again, my head firmly up—watch it—in the air. Lost in the ether. Inside myself. Not part of the world. I’ve been gazing at a computer screen the better part of a weekend, tying up loose ends and marketing stuff re my novel’s release (The Angry Woman Suite) at the end of this month; getting taxes out of the way, and trouble-shooting my husband’s long term care insurance reimbursements, grrrr (note: this is how insurance actually works: you pay the provider—much the same as you pay premiums before you’re ever eligible for benefits, on time—and then the insurance company gets around to reimbursing you at their leisure). Leisure being the operative word. When I brought Baby across the border to the U.S., I vowed never to let harm come to her if I could help it; and to feed her, exercise her, give her rawhide treats, groom her, take her to the “puppy doctor,” throw balls for her to fetch, and sit with her in the sun, preferably for hours on end. And to sing “How Much is That Doggy in the Window?” before she falls asleep at night (don’t ask). For her part, she shows up. See how uncomplicated dogs keep things? But this is what Baby keeps reminding me: Love isn’t a list. And neither is life. Instead, it’s about showing up, sharing food, and not biting others. Pretty simple. And I know this, but I sometimes forget. That’s why we need dogs, who teach by example, and so of course they never forget the lesson. And the lesson is that somewhere in the middle of anything is the balance for everything. And balance, not a list with everything on it crossed off, is the goal, the optimum—the whole point of sucking air. Not that I can leave my lists behind. Or doing. You might as well ask me to make my tall self shorter. But I can keep aiming for balance. The muddy ball is back in my lap. And we all know where this is going. I’m closing down the computer. Baby’s an excellent teacher: we’re going outside. We’re going to be instead of do. 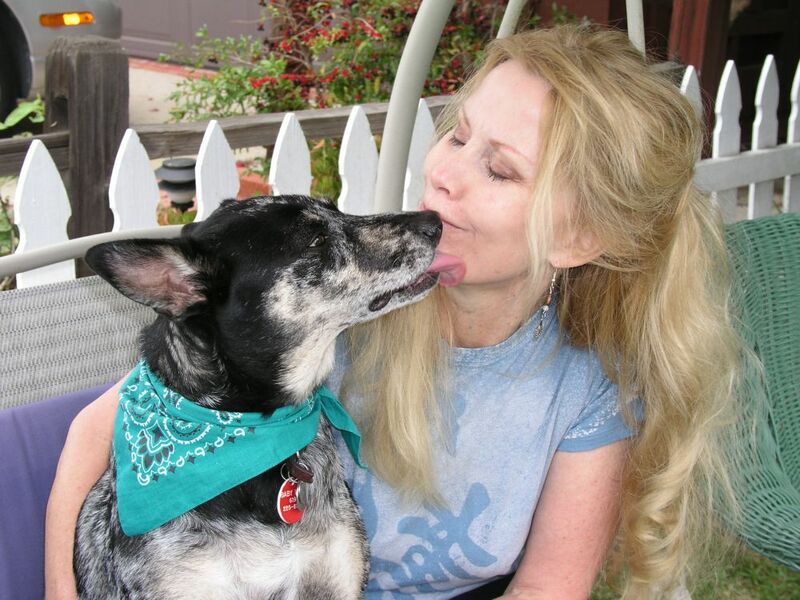 This entry was posted in A Writer's Life and tagged Angry Woman Suite, Australian cattle dog, blue dog, books, Kirkus review, Lee Fullbright, life. We all need reminders from time to time, even about stuff we already know– thanks for the comment!